New Zealand is much more than its two main (North and South) islands. One of the country's lesser known islands is called Whakaari. Formed by a volcano, it is situated off the northern coast of the North Island, in a body of water called the Bay of Plenty. With an altitude of about 320 meters (just over 1k ft.), it's only about 3 square km (just over a square mile) in area. 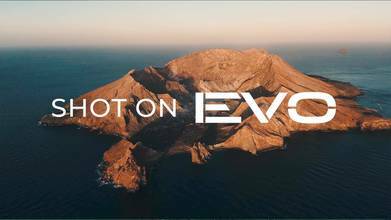 Check it out from above in this beautiful drone video by Autel Robotics, who used their EVO drone to film the beautiful island-mountain.